Pristina – The youth representatives in the Governing Board of RYCO published the official statement for the Governments of the WB6, young people from the region, RYCO’s friends and partners, media after Ms. Milica Škiljević, now former youth representative of Serbia in the Governing Board of RYCO, had been dismissed from her position by the Government of Serbia. 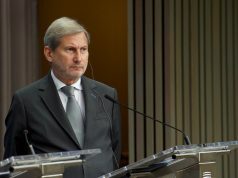 RYCO Secretariat was informed about this decision only one day prior to the scheduled IX Governing Board meeting, which was to be held in the Parliamentary building of Kosovo*, under the auspices of the Kosovo Chairmanship. In addition, the youth representatives in the Governing Board of RYCO decied to write an official statement expressing their regrets for the Serbian Government’s decision extending their support to the statement of their former colleague. 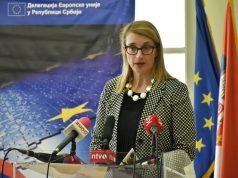 As they underlined Ms. Škiljević has always been a well committed and dedicated GB member, and an advocate for the best interest of young people from the Region and the Contracting party she is coming from, and thus they were particularly glad to learn that she had confirmed her presence at the planned IX GB meeting in Kosovo. As they pointed out RYCO is, so far, the most tangible result of the Berlin Process. They are happy to see its fast and healthy progress and they want to make sure it remains developing and changing narratives in the Region. They reminded that in order to achieve its vision, all the structures of RYCO need to work together and in accordance with their pledges, expressing that they are deeply concerned that a situation like this occurred. “We demand from the Governments not to interfere in the youth representatives’ independency. Co-management, which is the heart of RYCO’s decision-making, needs to be secured in order to ensure the continuous work of the organization. We, the youth representatives, will continue to fight strongly for the common Regional Agenda and for the values that RYCO promotes, where the potential of young people is recognized as a drive for change in society, and not as a problem to be resolved. As RYCO’s tagline says: “A better region starts with you(th)””, they wrote. Regional Youth Cooperation Office(RYCO) was founded in 2016 by Albania, Bosnia, Kosovo, Macedonia, Montenegro and Serbia within the Berlin Process, a regional political initiative launched by Germany to help Western Balkan countries prepare for membership in the European Union. In the Joint Declaration on the Establishment of the Regional Youth Cooperation Office of the Western Balkans, it is stated that RYCO is a “regionally-owned structure that leads and coordinates youth cooperation in our region”, and thus, the principle of regional ownership should be fully respected by all. Furthermore, the Governing Board of RYCO has approved Strategic plan in which it is stressed that RYCO GB should be increasingly demonstrating “the organization’s impartiality and its accountability to its stakeholders” and leveraging “its mandate to promote and implement a regional perspective in all aspects of its work”. The Agreement on the Joint Establishment of RYCO clearly notes that “RYCO, as an independently functioning institutional mechanism for cooperation is established on values of peace, trust based on mutual understanding, respect for human rights, diversity, dignity, solidarity, cooperation, tolerance and respect, and is underlined by an understanding that only through join actions we can progress as a region.” Young people of the region have supported establishment of RYCO and agreed to respect these values by taking part in its programs and the work of its structures. Young people expect all the respective Governments to make all of their decisions in accordance to their pledges and the Joint Agreement. RYCO Statute stipulates that each Contracting party has two equal representatives, one Governmental and one Youth Representative. Youth representatives serve in their personal capacity and they are independent Governing Board members, by the nature of the Statute. Youth representatives are not to be instructed by Governments. The Youth Agenda is clear – work and act in the best interest of young people from entire Region. In the absence of the clear commitments from both governments and youth to cooperate together on the regional level, RYCO could face deadlock situations and call into question its existence and sustainability. RYCO’s programs and policy-decision are based on the needs and interests of the young people. Such a policy formulation is based on the principle of universality, and all the GB decisions need to reflect and build on the regional needs and interests of young people. 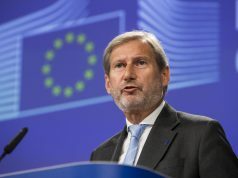 There shall be no space for partiality in neither decision-making nor abuse of the principle of Consensus by any of the Contracting Parties for promoting particular interests.